To see a nutcracker in a dream refers to a journey and seeing new places. To dream that you break walnut by means of a nutcracker implies that you and your friend will have a journey that will make you happy. To break another thing with a nutcracker or to use a nutcracker for another purposes in your dream signifies that you will have a travel which teaches you more about your school or job. To see of buying a nutcracker in your dream symbolizes a journey with your family that you aren’t eager too much for. If a person will give you a nutcracker as a gift in your dream, it means that you should convince your family for a journey. Even if you have difficulty about it, you will convince. To see of selling a nutcracker in your dream indicates that you will have a long journey because of a good event. You will have some money or a small package during this journey. To see that you injure your hand with a nutcracker in your dream implies that you should be careful about people that you will meet during a travel. You shouldn’t trust everyone immediately. 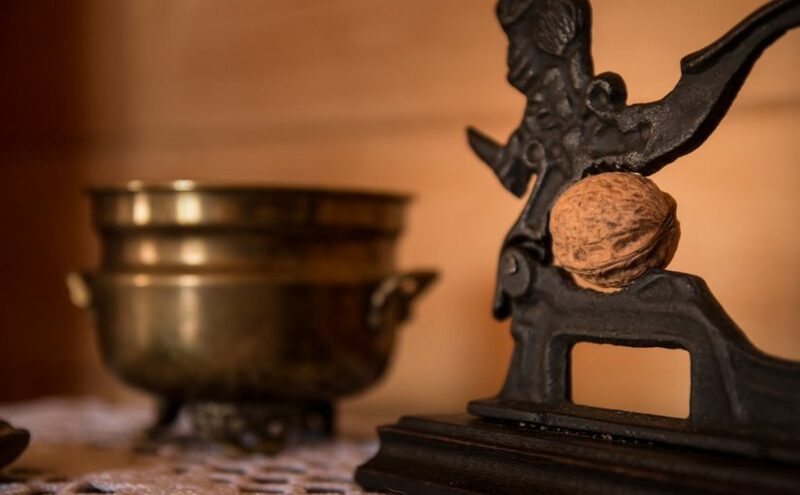 To see that a nutcracker breaks down in your dream signifies that a person from your family will make a city change related to school or business life. If another person spoils the nutcracker in your dream, it denotes that you will move to another city. To break walnuts with a nutcracker in serial in your dream may represent that you will have a journey because of your health. Even if this journey lasts long, its result will be good.